Prime Minister Narendra Modi shared the stage with Shiv Sena’s Uddhav Thackeray and RPI’s Ramdas Athavale in Latur. He referred to Uddhav as his “younger brother” and eulogised Bala Saheb. He hit out at NCP chief Sharad Pawar for standing with the likes of National Conference leader Omar Abdullah who has demanded a two PM Model for J&K. 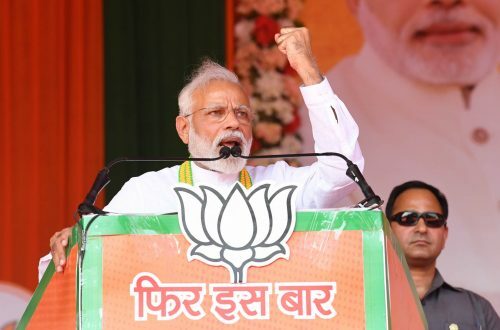 Prime Minister called on first-time voters to dedicate their vote to those who carried out the air strike in Balakot adding that the Congress party’s manifesto speaks the same language as that of Pakistan. This was the first joint rally of the BJP and Shiv Sena since the two announced their tie-up for the Lok Sabha polls. Uddhav Thackeray also welcomed the BJP’s manifesto.